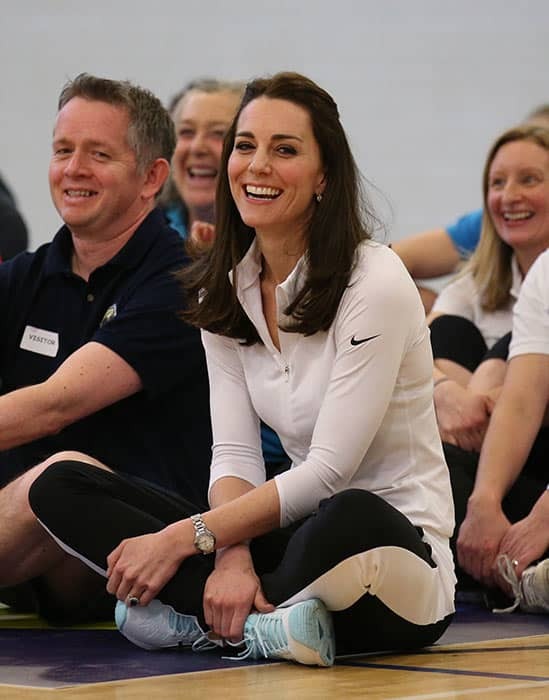 Kate's £360 sportswear look and how it could be yours | HELLO! The Duchess of Cambridge, née Kate Middleton, repeatedly dazzles in designer dresses. 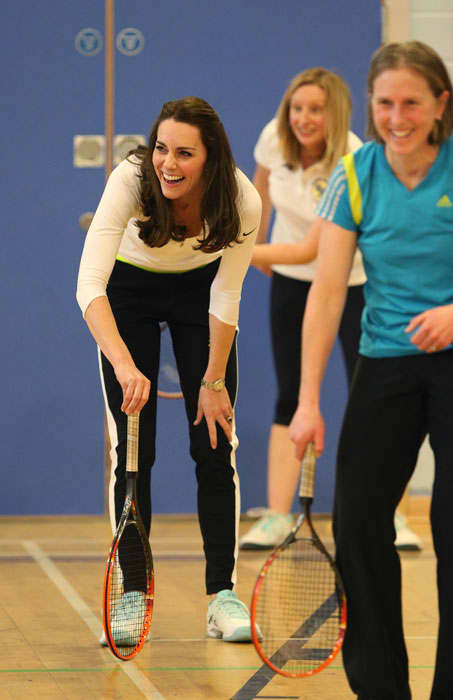 But the royal showed her sportswear wardrobe is just as fashionable as she played a spot of tennis on Wednesday. The 34-year-old showed off her athletic physique in a Nike top, Asics trainers and Monreal London track pants as she joined coach Judy Murray at her Tennis On The Road roadshow in Edinburgh. 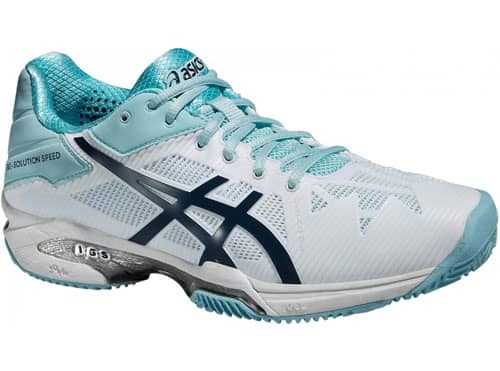 The Nike top, called the Pro Hyperwarm Half-zip training top, has a modest price tag of £45, whereas the Asics trainers, entitled the Gel-solution Lyte 3, cost £95. The trousers are slightly more expensive, retailing for £220 from a sportswear brand called Monreal London, sold at Net-A-Porter. Kate' sister Pippa is also said to be a big fan of the brand. Earlier in the day, Kate stepped out wearing a tweed skirt from new Scottish designer Le Kilt. Known for her thoughtful approach to fashion, Kate championed the new fashion brand during her visit to Scotland, perhaps drawn to the family background of the label. It was founded in 2014 by Samantha McCoach, who had a vision of adding modernity to her family's kilt-making heritage – her grandmother had been a traditional kilt maker in Scotland for over 40 years. Kate paired the skirt with a green tailored Max Mara coat cinched in at the waist and a black polo neck. Astute fashion fans will recognise the coat - she wore it for Christmas Day church services last year. She topped off the look with Stuart Weitzman suede pumps, her signature glossy blow dry and golf leaf earrings by Kiki McDonough.